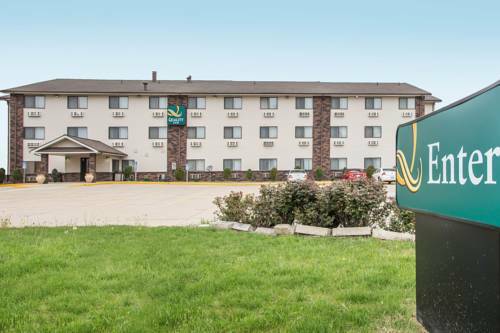 The Quality Inn and Suites hotel in Bloomington, IL near U.S. Cellular Colosseum and Illinois Wesleyan University gives you real value for your hard-earned money. Our convenient location off of Interstate 55 keeps you close to attractions like Eastland Mall, Miller Park Zoo, Anderson Aquatic Park, Central Illinois Regional Airport and Illinois State University. Our Bloomington hotel gives you more for your money with Value Qs and amenities like free continental breakfast, free WiFi and an indoor heated pool and whirlpool. Rest in your guest room with premium bedding and amenities like a coffee maker, desk, microwave, refrigerator, iron and board. Get your money's worth at the Quality Inn and Suites. Bloomington hotels like ours help you relax and focus on the people and experiences you came for. Book now. Bring your pets. We allow 2 per room. 15.00 USD per night. Statue commemorates the local factory women who painted radium on wristwatch dials in the 1920s, and suffered the horrible effects of its potent radiation. The 2011 bronze is by sculptor William Piller. Designed by Disney "imagineers" so there's not much to read, but lots of flashy effects and a "pose with the Lincolns" wax dummy photo op.